When the rich young ruler of the scriptures approached Jesus, what was it that Jesus saw in him? Was it potential of his energy and money and what they could do for the kingdom? Hardly. Was it the influence that the young man could have among his peers in bringing them to church? No. Perhaps what Jesus saw behind this young man’s clothing and clout was years of insecurity and fruitless searching for life’s meaning. Just because this man had youth, money and power, didn’t mean that he was immune to the deeper diseases of the soul. Jesus saw a man in great need of true wealth and meaning and He knew that God was the only One who could fill that void. Unfortunately, the young man could not relinquish his possessions but instead had allowed his insecurities to draw him toward what he had amassed for himself. His life had been reduced to the value of material things. But like all material things, they fade away with age. This man’s soul was searching because of what he lacked on the inside. 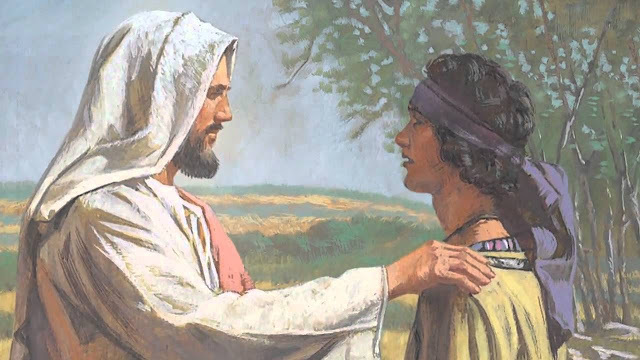 Nothing he had could bring him comfort, which is why he came running to Jesus. He had seen in Jesus a wealth that he could not afford – peace of mind and spirit. Tragically, this rich man turned away from Jesus and left in greater poverty than when he had first approached Him because now he had no hope, no future, no life except what he owned; soon enough, even that would be gone. Don’t be like this sorrowful young man who, we can assume, in the end lost more than his toys. He lost his way. Do you want to be rich today? Do you want to win big and experience the best that life has to offer? Then take a lesson from the rich man; recognize your poverty and run to Jesus. But unlike that man, follow Jesus all the way to the treasury – that of heaven itself!